After Yuri Khachaturov, Secretary General of the Collective Security Treaty Organization (CSTO), was recalled in early November 2018 as a result of governmental changes and criminal investigations against him in his native Armenia, the top position became vacant. 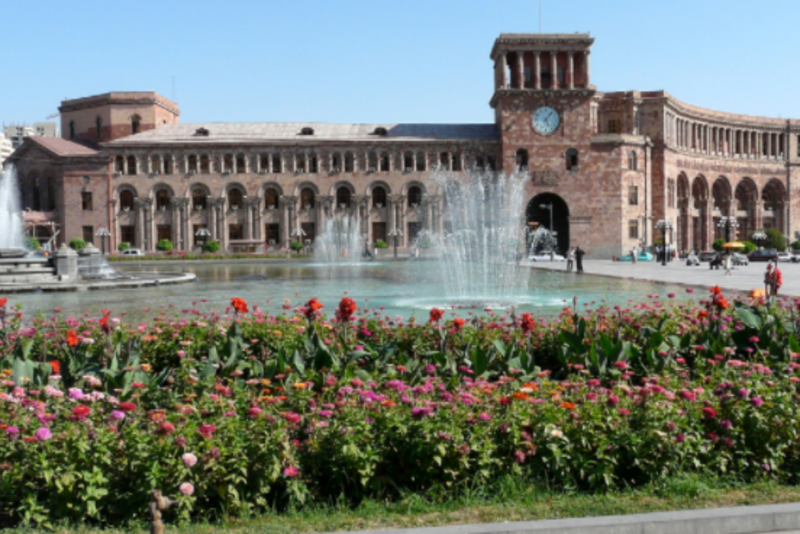 According to the rule, Yerevan could have appointed another representative to fill in the position in order to complete Armenia’s three-year term of the rotating presidency. However, other CSTO member-states seemed reluctant to accept a substitute for Khachaturov due to the political instability in Armenia as it prepares for snap elections. This reluctance was voiced by the president of Kazakhstan, Nursultan Nazarbayev, who claimed that a new Armenian nominee would hardly have sufficient time to visit all CSTO states before handing his powers over to the Belarusian successor in May 2020. The heads of CSTO member states failed to settle the problem leaving the final decision to the upcoming St Petersburg meeting on December 6th 2018. Things got even worse for Armenia when President Alyaksandr Lukashenka of Belarus discussed with the Azerbaijani ambassador on November 12th 2018 the issue of appointing a Belarusian representative to the post of CSTO Secretary General – despite the fact that Azerbaijan is not a member of this military organisation. Referring to the political situation in Armenia, Lukashenka stated that Nikol Pashinyan, Armenias’s prime minister, first needed to stabilise Armenia’s domestic situation in order to cope with CSTO and matters of the Eurasian Economic Union (EEU) and went on to say that Belarus had three candidates for the CSTO chairmanship. In the face of such developments Pashinyan told the media on November 16th that he would demand explanations from the Belarusian and Kazakh leaders for their controversial statements and violations of prior agreements. Pashinyan seemed surprised by the fact that Lukashenka disclosed to the Azerbaijani ambassador the details of a closed-door session of the military alliance. According to him, Nazarbayev also announced a Belarusian turn for the CSTO top position after the session although no consensus-based decision had been made. This is not the first time that Armenia has been alienated by its formal allies. Even before Pashinyan, Armenia under the previous leadership of Serzh Sargsyan had undergone hard times with its EEU and CSTO allies. In his response to Yerevan’s EEU membership bid at the Astana summit in May 2014, Nazarbayev publicly stated that the EEU’s accession treaty with Armenia must be valid only within Armenia’s internationally recognised borders and not encompass Nagorno-Karabakh, citing a letter from his Azerbaijani counterpart, Aliyev. However, a more serious blow to Armenia’s foreign policy came during Azerbaijani-Armenian clashes (also known as Four-Day War) in April 2016, when Yerevan found itself abandoned even by its formal allies. They expressed their support for Azerbaijan’s territorial integrity. The Belarusian ambassador was therefore summoned to Armenia’s foreign ministry to be informed that Yerevan was “deeply bewildered” by the statements coming out of Minsk. 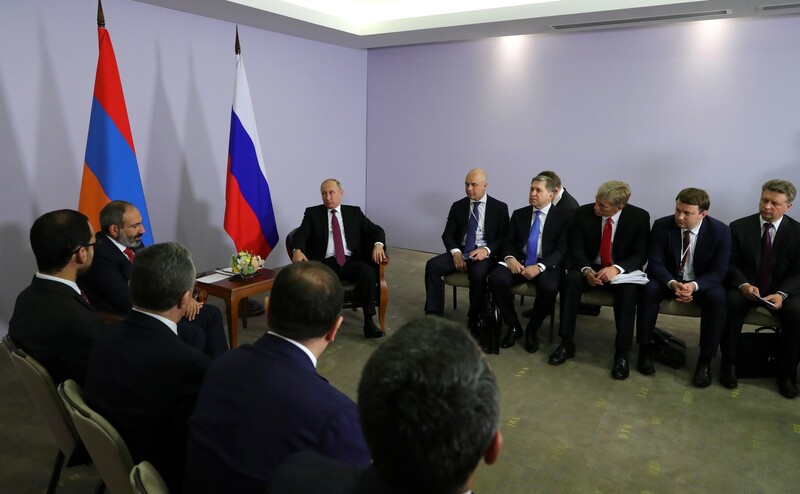 A planned summit of the EEU in Yerevan was cancelled after Kazakhstan, one of the bloc’s member-states, refused to attend in an apparent show of support for Azerbaijan. Although the Russian authorities formally called on both sides to end the hostilities, Russian sales of arms to Azerbaijan sparked a public outrage in Armenia. 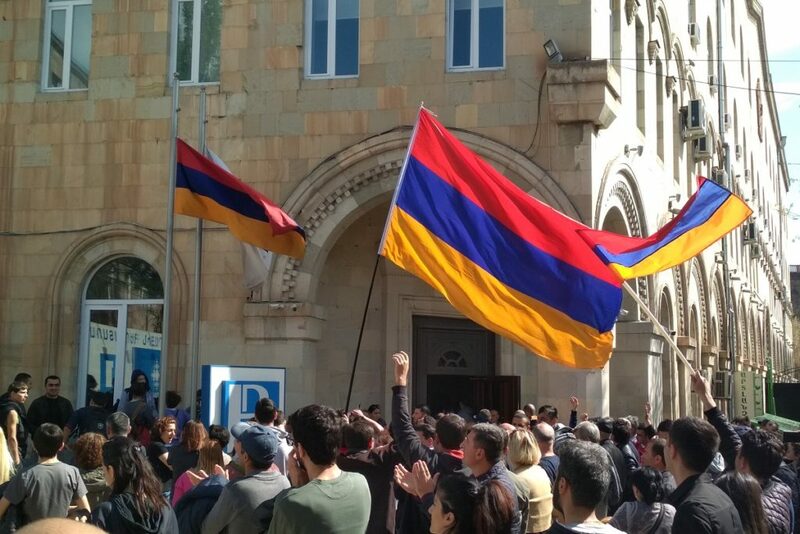 As anti-Kremlin sentiment grew in Armenia, mass rallies were organised in Yerevan against Russia. The recent Khachaturov affair and its aftermath refocused attention on Armenia’s vulnerable position in the Collective Security Treaty Organization. With Azerbaijan’s active foreign policy vis-a-vis individual CSTO member states, Armenia now looks to be an outlier in the military organisation. All CSTO member countries, except Armenia, are interested in increasing trade with Azerbaijan and acknowledge the territorial integrity of Azerbaijan. Russia and Belarus eagerly sell arms to Azerbaijan and Kazakhstan and Belarus actively support Azerbaijan’s attempts to restore its territorial integrity. Although the CSTO signifies a security guarantee and military aid (in the form of discounted weapons) and therefore can be seen as an essential factor in holding Azerbaijan from taking back Nagorno-Karabakh (which legally belongs to Azerbaijan) by force, this regional bone of contention remains outside CSTO jurisdiction which means the organisation cannot formally back Armenia in case of another military conflict within Nagorno-Karabakh. Having fewer options and little room for manoeuvre, Armenia has found itself in a trap, unable to make serious changes in its foreign policy. 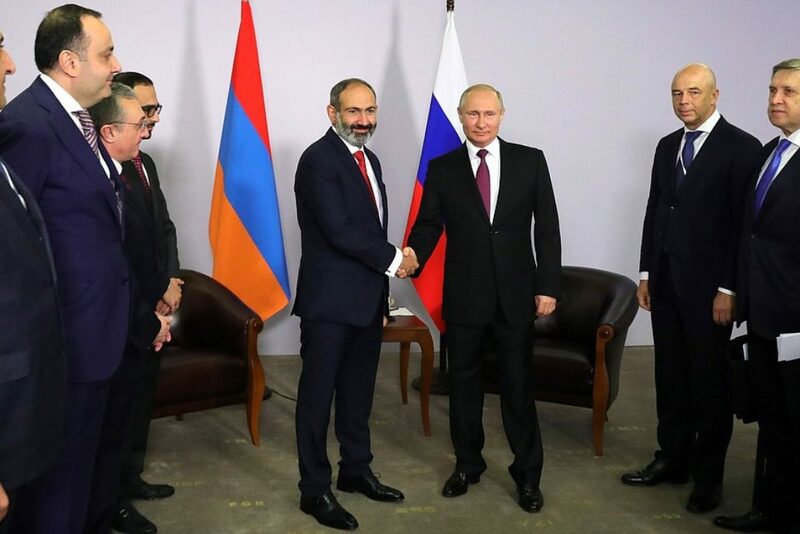 Alienated by its allies from time to time, especially in key episodes and uneasy times, Yerevan cannot make a turn to the West either because of its close ties to Russia and Russian-dominated structures. These are cemented by a Russian military base in Armenia and hostile relations with both Azerbaijan and Turkey. Rusif Huseynov is the co-founder of the Topchubashov Research Center. He studied international relations Baku State University and the University of Tartu. His main interest is peace and conflict studies while his focus area covers mainly Eastern Europe, Middle East, Caucasus and Central Asia.